Last week I received this All-Clad griddle that I won over A Cozy Kitchen so naturally I had to try it out. I knew I wanted to make a grilled cheese sandwich but I didnt want to just make a regular grilled cheese. Then I saw a caramelized apple grilled cheese on Beantown Baker which looked awesome and I knew what I would do. Unfortunately I had just used up the rest of the apples we had on hand to make a batch of crockpot apple butter, so I had to wait until I went to the grocery store to try these out. So my pretty new pan stayed in the box all weekend long. But I picked up some crisp Fuji apples on Monday along with some brie that I found at the store to use for the cheese. I decided to use my homemade apple butter as a sauce for the sandwich - the recipe can be found here. While it takes a little while to cook, it requires almost no effort for all of that time since its done in the crockpot. The most time consuming part of the recipe is simply peeling, coring, and slicing the apples (which you can avoid if you have a food mill). These sandwiches aren't a typical savory grilled cheese sandwich - you may want to switch out the brie for some sharp cheddar if that's more your style and even throw on some bacon per Jen's suggestion. Use whatever type of bread you want, I used Italian bread because I had it on hand but I think this would be great with a crusty multigrain or wheat bread too. Make it even sweeter by using a cinnamon-raisin bread. These would be great appetizers made on a thin baguette of French bread for bite-sized sandwiches. Spread apple butter on one side of bread slices. 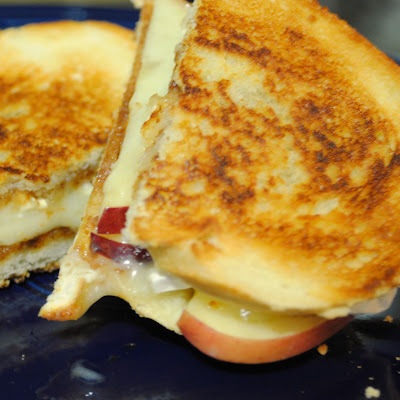 Layer brie and apple slices on one side and top with remaining slice of bread. Heat griddle over medium heat and melt half of the butter on the pan. Add sandwiches and spread remaining butter on tops of bread. Let cook about three minutes and then flip. 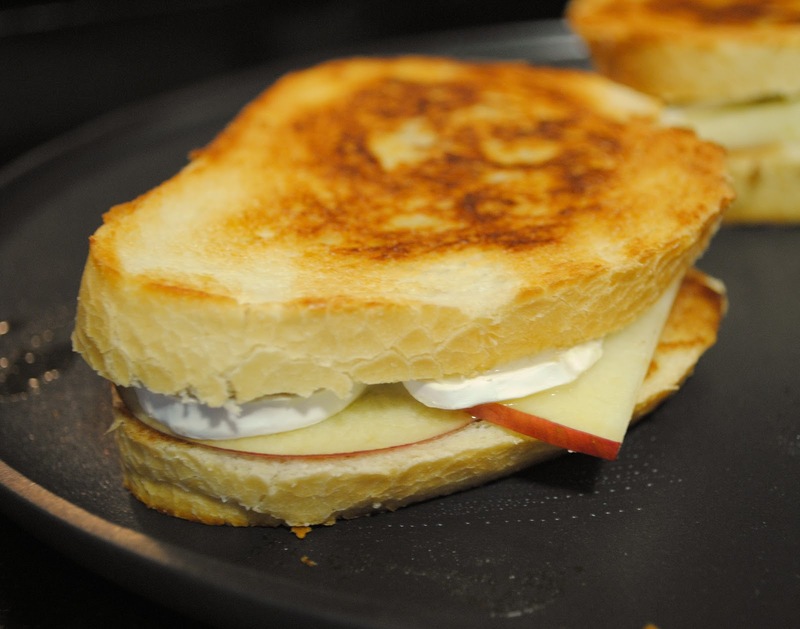 Cook an additional two to three minutes until cheese is melted and bread is toasted as desired. Cut and serve. Wow, you are so lucky! What a great pan! I love the flavor combination of apple + brie, but I can see how cheddar might be good too! Okay... officially craving a grilled cheese now! Your melts are great! 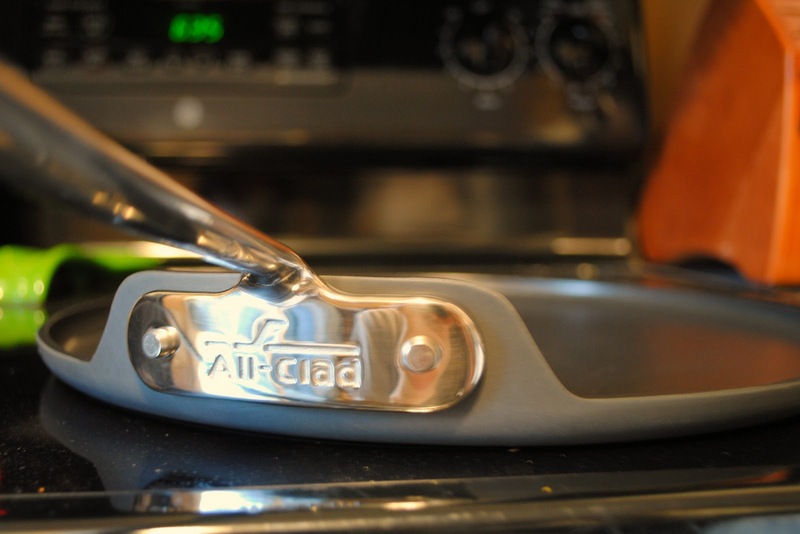 Enjoy your new griddle! Whoa! The pan looks gorgeous! And the sandwich too. I love putting fruit in sandwiches with cheese. I totally want to make this now! Wonderful combination.I was just thinking the other day of grilling some cheese and pear on toast .I used to love the sweet and sour mix flavour with lots of pepper yum.Great Post.The photos make me hungry. I enjoy just a peice of toast(buttered) with sliced apples and brie done under the broiler until the brie melts to the edges. Just by looking at the photos above, it makes we crave for an apple sandwich! 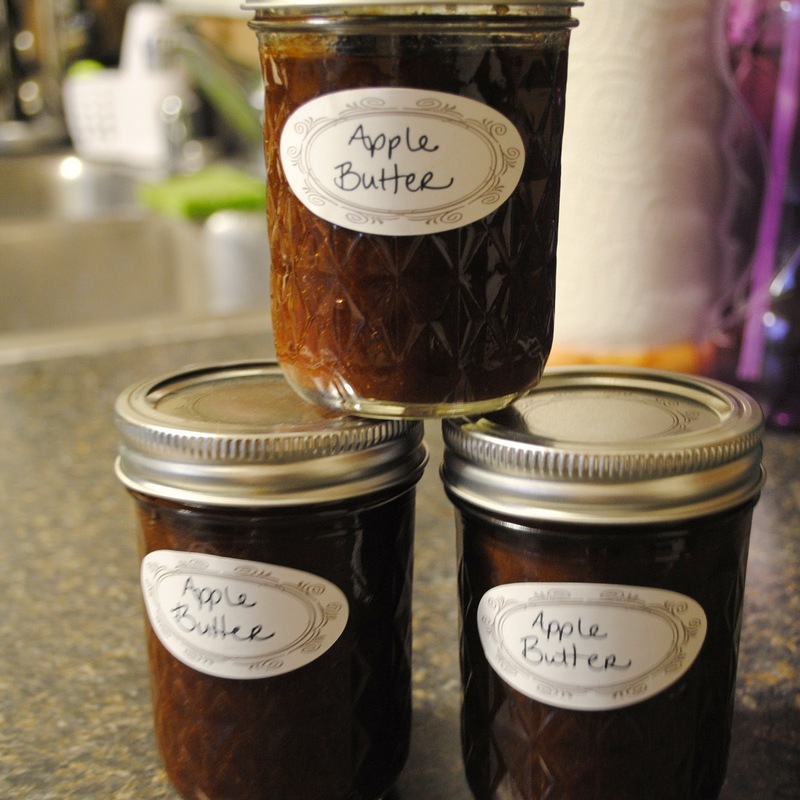 The apple butter brings a delightful taste for the brie and this will be best served hot with a cup of coffee or tea. I like the way your presented the sandwich - it looks enticing! yummy. I made it with white cheddar :) I love Brie but didn't have any on hand. This was amazing!!! We've done it a few times now and it always delicious. We used McIntosh apples and the tart was just perfect. I've paired this recipe with slow-cooked apples, baked squash and soup and it is always the perfect companion to small sides. Thanks for posting such an amazing recipe! i don't like apples ,but my sister will love this recipe,so I am going to share this with her. Thanks for posting this ... off to the store to buy everything I need! I made these tonight and even with regular butter (I didn't have apple butter), these didn't last 5 minutes. Everyone loved them!